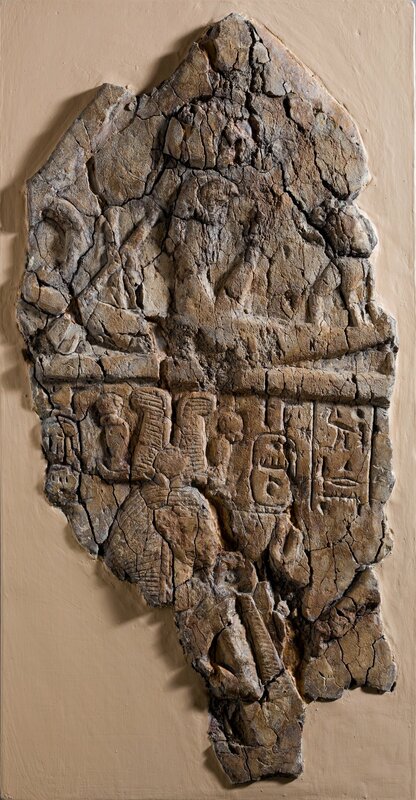 Fragment of Stela depicting a figure labeled 'excellent spirit of Re' facing Ramesses I and Ahmose-Nefertari beneath the barque of Re,ca. 1295–1070 B.C. Collection of the Metropolitan Museum of Art. In conversations with colleagues and clients, the question often arises about why we, at a certain point, feel pushed towards a spiritual connection. It was only until I was midway through an intense transitional phase of my own, last fall, that I really got clear on it. The info came as a result of a divination done for me by my godmother where we parsed a specific subset of my challenges attempting to source their origin. What she said next was profound, and I continue to ponder it to this day. She said, we put down our indigenous traditions. When considering the experience people of African descent in the Americas, we can estimate that this started happening as early as the 15th century on the continent of Africa and lasted en masse throughout slavery. It is important to note, however, that some of our forebears never put down their traditions and this this is how we have Lukumi, Haitian Vodou, Obeah, Kumina, Shango Baptist, the various Candombles, Abakua, Arara, Palo Monte, and the various (often Bantu in origin and praxis) quilombos/maroon colonies whose descendants reside throughout the Americas (yes including the US and likely even Canada). Looking at European peoples, we must consider that it started as early as the 11th century with the Crusades moving east across the European continent, followed shortly by various Muslim incursions in Europe and Africa in the form of the Islamic Caliphates. At first inspection that statement may come off as harsh. Most of our ancestors didn’t just put down their traditions. A decision was made, more likely than not, under extreme duress. Humans, who tend to choose survival, chose to survive rather than risk death for maintaining their cultural praxis. No judgment; however, fast forward to the present moment and people are feeling these visceral internal pushes to connect spiritually that they can not fully comprehend nor tackle. They are noticing that issues in their careers, family, and love life remain unresolved or worse, falter, while this impulse to connect to the universe (please excuse the cliche) intensifies. Within the context of the traditions I practice, I explain it as such: the spiritual entities we work with, and our ancestors too, are primarily interested in carrying on the lineage and harmonious conditions that facilitate it. They will shake your entire lineage to its core until they find the one person who will tune in, listen, and do. Only then will things slowly but surely begin to balance and improve. For those of us who heed the call, harmonization is an ongoing process. It took me 14 years of involvement in Lukumi, and subsequently Palo Monte and Espiritismo to begin to understand that what I was/am doing is indeed a mending of that break with my ancestral traditions. It was only within the past six months that I found language to even discuss the signs that were confirmation of the break needing to be mended. These signs have come in the form of new people I have met who feel like old friends or family (but we know there is no possible way we could know each other, or so we think); in the form of dreams; in the acceptance of death as a necessary growth moment; and very importantly in the ancestralization process of deceased loved ones. It is a many pronged process and it is never “ this or this…” always “this and this and this and…” I do not romanticize any of this. It is hard work. It feels solitary when you are in the thick of it. However, it is not impossible and it remains, most certainly, some of the most gratifying and beneficial work I have done to-date. Did you enjoy this post? Share it with your friends and networks by clicking on any of the social media icons below. Interested our practice? Interested in our healing services? Click here to review our offerings and check out our terms and conditions here before scheduling. Until next time! !